This is not a beauty company. It's a movement. 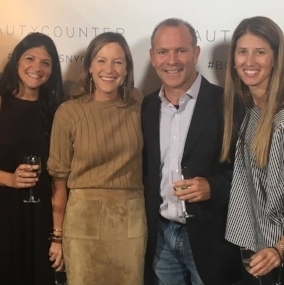 Hear from Beautycounter Consultants why they are excited and proud to be part of the Beautycounter mission. Help spread the Beautycounter mission of getting safer products into the hands of everyone. Beautycounter Consultants sell safer products created with the rigorous standards of their Never List and Ingredient Selection Process. They educate and empower consumers with knowledge to make better purchasing decisions, acting as leaders in the movement for safer, better beauty. Earn up to 35% commission on the products you sell and increase potential income by building and mentoring a team of your own. How you build your business is entirely up to you. Some Consultants have made BEAUTYCOUNTER a full time career, while others work only a few hours a week. No matter how you decide to work with us, we will be here to help you every step of the way! It's rare that an opportunity comes along to build a successful business while also making a positive change in the world. Becoming a BEAUTYCOUNTER Consultant is that opportunity. 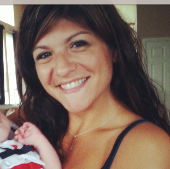 The work we are doing is important, and the opportunity for you to make significant additional income is real. into the hands of everyone! Interested in learning more about how you can do well while doing good as a Beautycounter Consultant? Thank you for your interest in The Good Life/Beautycounter! We look forward to working with you and will be in contact shortly.